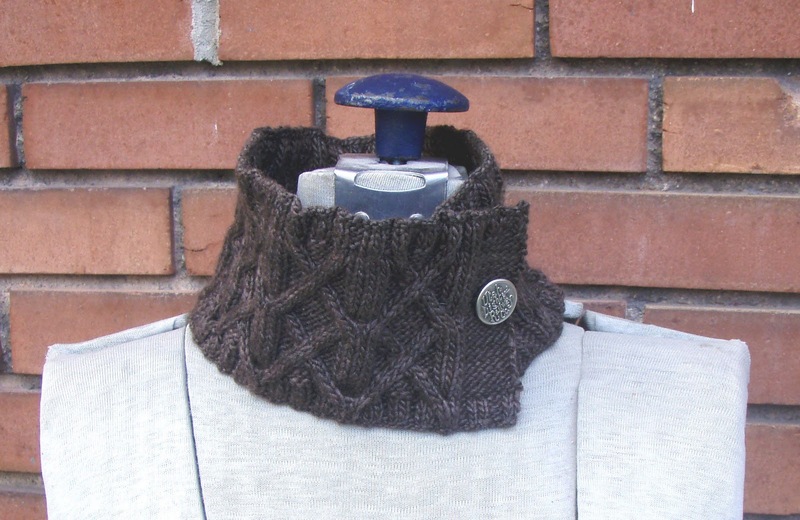 Finished the neckwarmer the day after Thanksgiving thanks to my days off. The silk blend yarn is beautiful and soft. Aesthetically, this is my favorite pattern I have created. The cables, the deep brown yarn, all make for a texture that appeals to me. The cable pattern looks just like the Lucin Cutoff Trestle too. Once again, the pattern is on my pattern page. This is fantastic! How fabulous that you have that button for your neckwarmer. Something to truly treasure!